At the beginning of April, I went to the IAHSP Europe conference in Rome with my Dutch colleagues Karin Stoltenborg and Paula Bullard. Paula would give a lecture about vacant properties. Karin and I came along as her personal supporters. Paula Bullard and Barb Schwarz in Rome, so proud of our Dutch colleague! 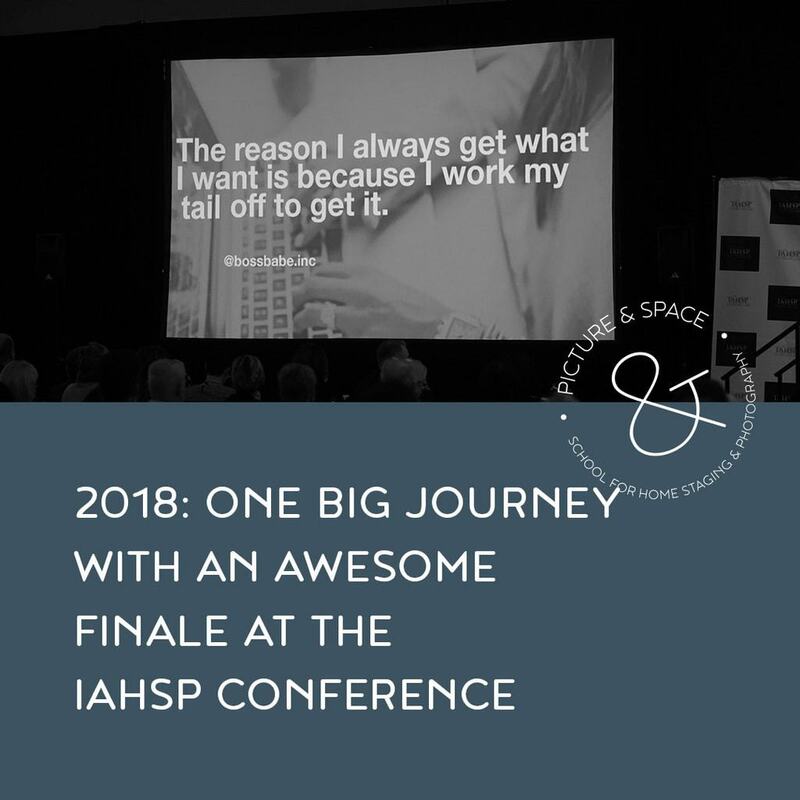 IAHSP is the International Association of Home Staging Professionals, the organization from America, founded by Home Staging Guru Barb Schwarz. (Or Home Staging Mama as us Europeans perfer to name her). The idea of a new European professional organization combined with a visit to Rome, my favorite city, was a no-brainer. Except for that group of unknown people. Even though it may not look like it from the outside, I am such an introvert. Networking events are not my jam. But I booked a plane ticket, arranged a hotel and, I enrolled in the online class The Art of Networking. Yes seriously, I felt so anxious about the networking part, a thorough preparation was not a luxury. Great course by the way, from my own experience I can now tell you it was mind-changing. THE 1ST IAHSP EUROPEAN CONFERENCE WAS A HUGE SUCCESS! T H A N K Y O U F O R M A K I N G H I S T O R Y W I T H U S !ONE FOR ALL & ALL FOR ONE! So I spent a weekend with about 60 stylists from all over Europe. To my surprise, it was great, the group felt like a warm blanket. The keynote speech from Barb Schwarz was magical. Hand in hand, with tears in our eyes Karin and I were listening to the keynote of Barb. Something with boxes we had to climb out to grow both as a person and an entrepreneur. This story was not about Home Staging but about how we should stage our lives. Damn, that box … and Barb’s skirt. Nah, I’ll tell you about the latter when I speak to you in real life. With an enormous dose of energy and inspiration, I landed back on Dutch soil. Just for a few days because our family vacation was coming up. Within a week I went back to Italy: Venice and Tuscany followed by teaching home staging and real estate photography at a real estate agency in the South of France for four days. Meanwhile, I started a 6 weeks Mastermind. 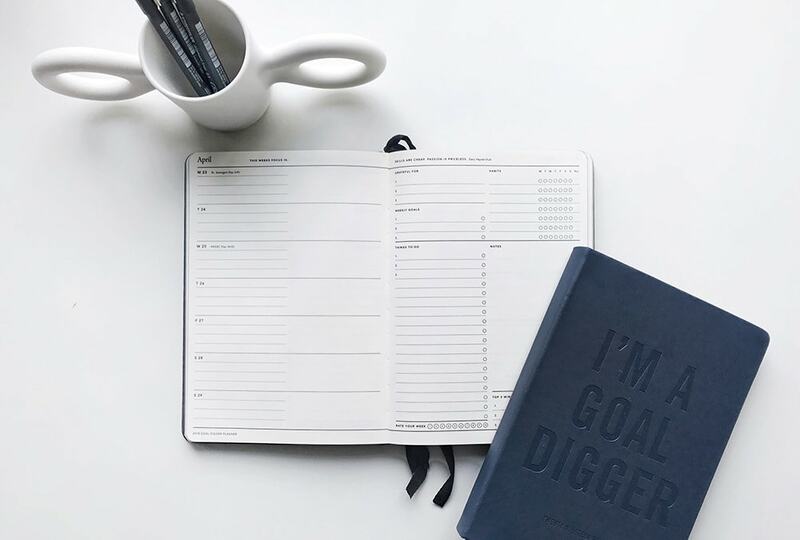 The What Works Business Immersion by Tara McMullin from CoCommercial, an international community of entrepreneurs I have been a member of for a while. Exploring what works within my business, where I can improve and expand to grow further as a company and a person. Bam! Another emotional breakthrough! Gradually all the parts of the puzzle pieces fell together. What Works? Well, my method of teaching, my vision, the small private groups of up to 5 participants. Students getting support after the course without having to pull the wallet, the coaching approach, based on the personal situation of the students. That’s what works, both for my students and me. I am not just sharing the beautiful stories, I also tell what I am up against in my business, both the positive and negative parts. During the current seller’s market, but also how things worked during the crisis, just a few years ago. I am not training the participants for the short term, right? 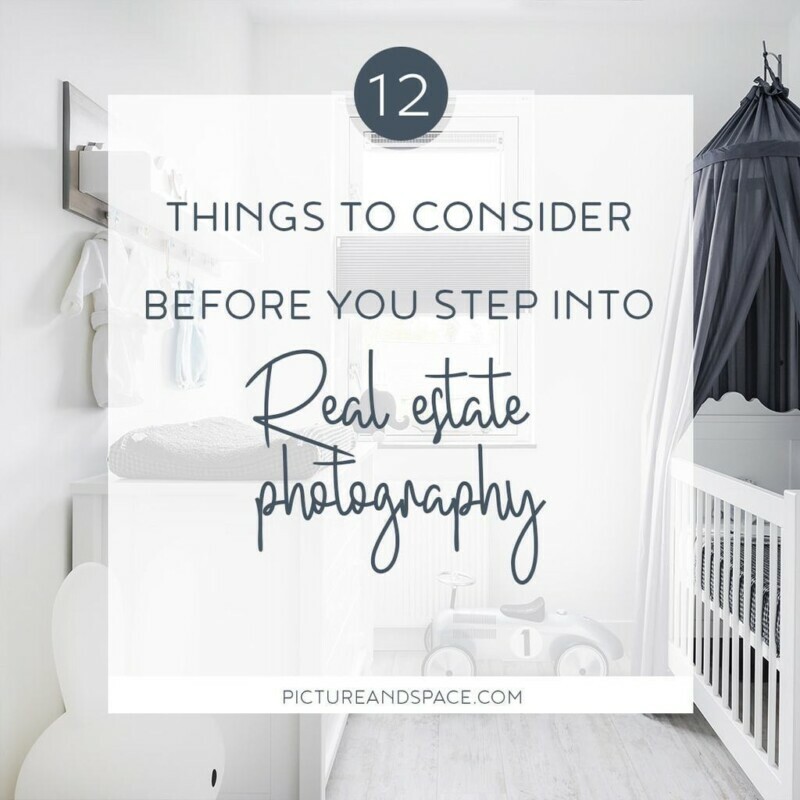 Besides, as the only educator in my field, Home Staging, and real estate photography are my daily practice: Every single day I do what my students want to do. 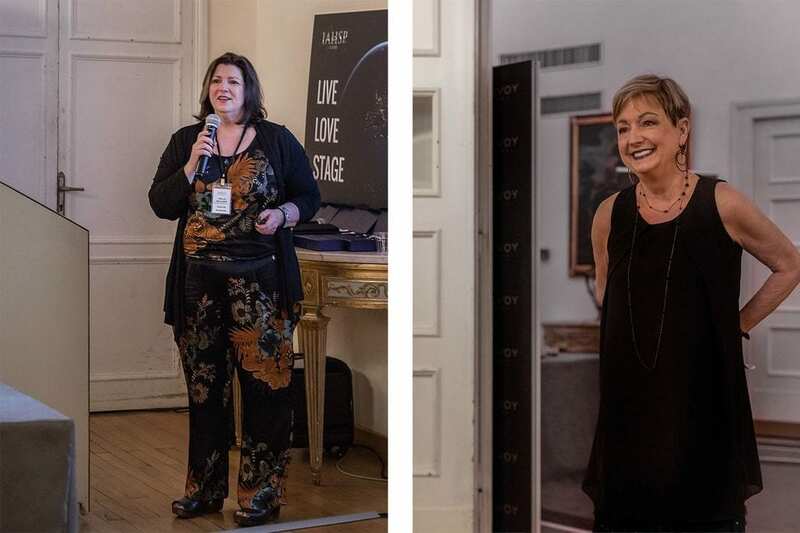 Time and time again my course participants told me they had learned more in their two days with me, especially about how it actually works in practice than during any Home Staging education they had. 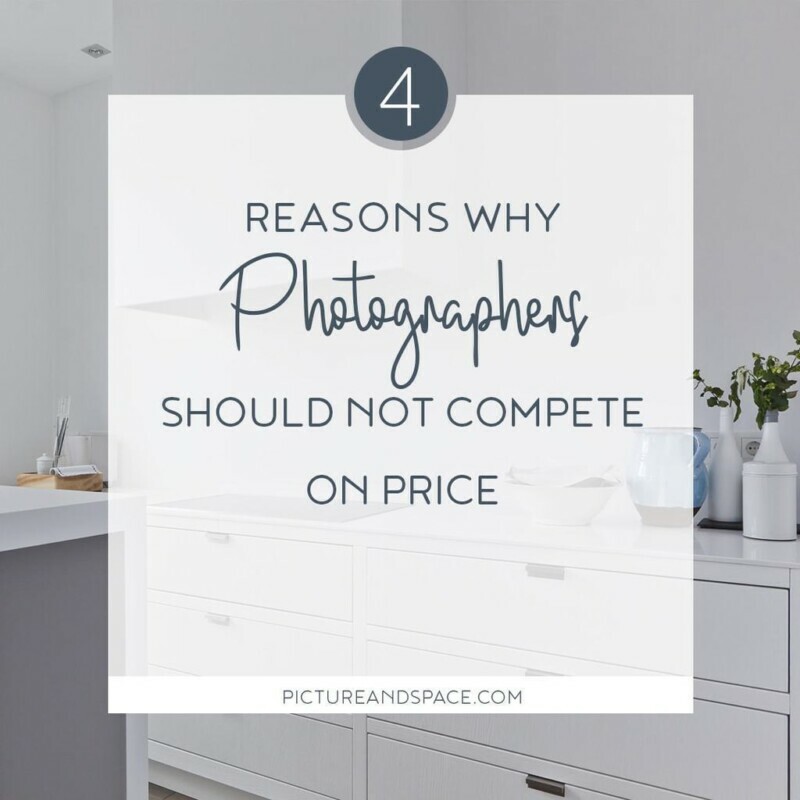 Yet I never had the goal nor guts to offer a full real estate photography and home staging training. At least, that’s what I’ve told myself since I started my first course in 2011. Why not? Because of my inner critic. That voice in my head that tells me I am not good enough, that my working method differs too much from the norm in home staging education in the Netherlands. That voice that kept in that box where it’s friendly and safe and prevented me from sharing what it’s really about, afraid of the criticism that might come, or worse, to utter failure. You know that voice undoubtedly. I assumed I was able to work on my expanded course all summer, the real estate market usually comes to a pause mid-July. July was still somewhat normal with 11 orders but then came August. In mid-August, I would go to France for another in-company training. My family would join me for another vacation. And in the 15 working days that remained? 21 staging & photography assignments! Why didn’t the Dutch people take a break for the summer, I had to write, a course to prepare! In September I slept very little, all the course documentation had to be finished. Hubby and the children took everything out of my hands. Just a word and the coffee was brought to me, the food conjured up on the dining table and every now and then I was pushed to bed with a soft compulsion. 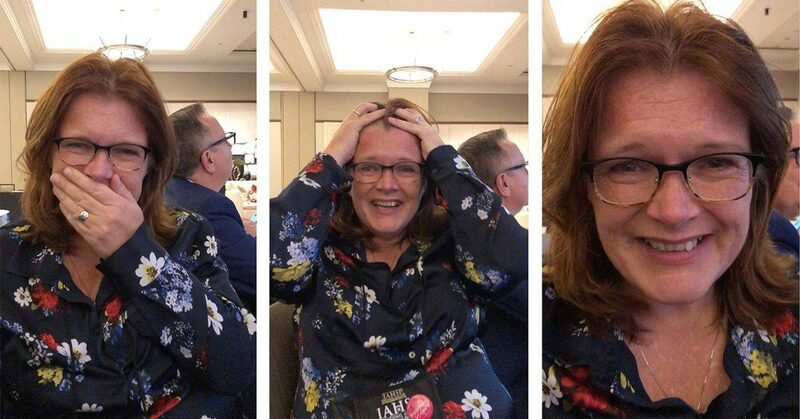 I only thing I had to do was brushing my teeth, every day, when I was not staging and photographing, I was writing, putting together new keynote presentations for each day. On September 7, I was nervously waiting for the first group of students. Instead of two, I had three days of teaching spread over 3 weeks. It was super intensive, for the students and for myself. I am always tired after a day of teaching, and now with all the new knowledge I wanted to share, this series of courses was perhaps the most exhausting ever. In September I worked literally 320 hours, 8 work weeks crammed in a month. And October was no different. I was determined to write the proposal for the IAHSP accreditation and make the final adjustments to the course material for that month’s group. A course that was not scheduled, but I had enough applicants for a final test-run. At the beginning of October, I emailed 24 pages of documentation in English plus all course materials in Dutch to the President of IAHSP in America, Jennie Norris, and Sanja. They were terribly busy organizing of the largest ever IAHSP conference in Charlotte, North Carolina. I told them I did not expect a response for November, but I had to get it out of my system after finishing it. Between the unscheduled course in October, I would also attend the convention in America. After the wonderful experience in Rome, I had to be there! I got on the plane knowing that both Paula and Karin would be there too. Of the 60 members from Europe, 13 came to Charlotte, North Carolina and the rest of the 400 participants were utterly unknown. Would it be such a warm welcome as in Rome? Would the board, who were so cordial, still remember us, notice us in that mass? The first night it felt a little uncomfortable, but when the conference started on Friday, that feeling immediately disappeared. So lovely to have so many colleagues around without any sense of competition. A group in which everyone is willing to share his or her experience without hesitation. 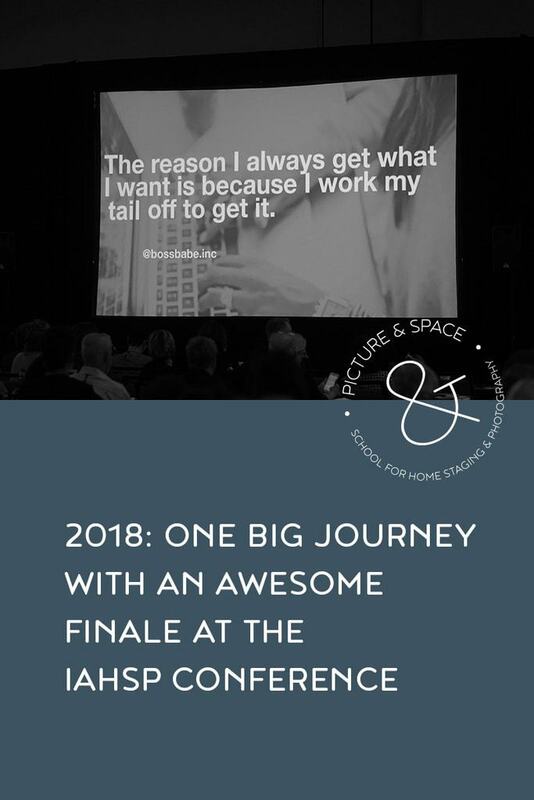 The personal highlight of the conference and from my entire career as Home Stager and real estate photographer was what I worked so hard for but still came as a complete surprise: The announcement by Sanja Radovanovic that my course, mine (! ) was accredited by IAHSP and IAHSP Europe. Crying my eyes out on stage and riding a pink cloud the rest of the day. After 11 years of hard work, such an enormous recognition works from the cradle of our profession. And how beautiful it was that I could share that moment with Paula and Karin! Karin filmed me immediately after the accreditation. A few hysterical stills from that video. The recognition by the IAHSP and IAHPS Europe board gave me the inspiration to transfer all my content and courses to this website, Picture & Space and make it bi-lingual. I still have a lot of content to translate and pages to write, but it feels good. In the meantime, I am continuing the in the new format. Eight talented women have completed a course and got their IAHSP accredited certificate: Home Staging, photography and most and for all: entrepreneurship. 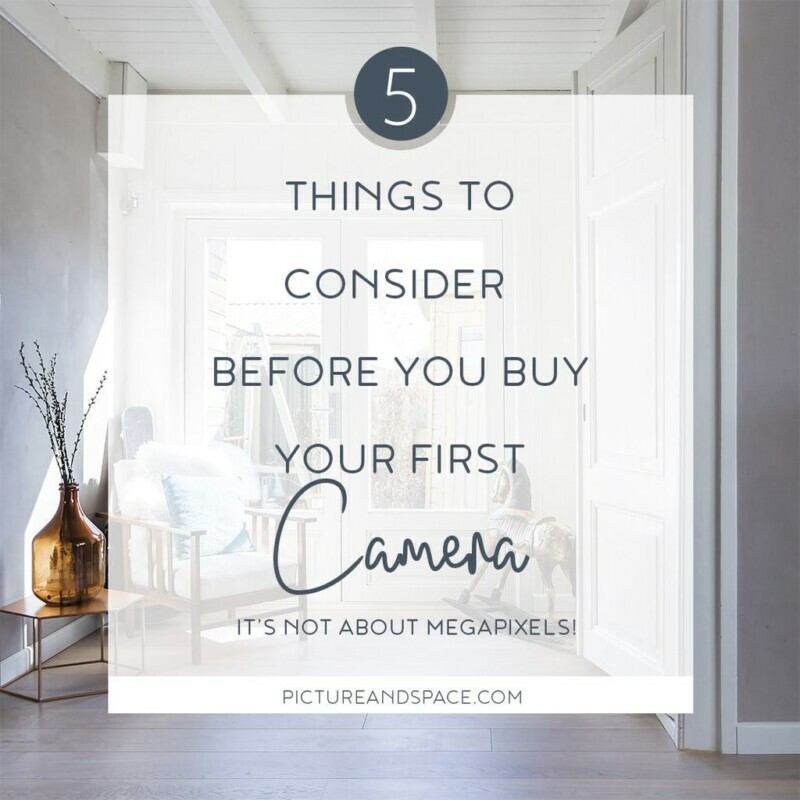 Because let’s be honest: You can be the best Home Stager, the best real estate photographer, if you do not have the right mindset it will be damn difficult to set up a successful company. Oh, another note; just after returning from Charlotte we got the keys to a new office space. At the edge of our historic town center with a beautiful view of the park. Yay! And the text in the picture at the top of the blog? It was shown by one of the speakers at the IAHSP conference in Charlotte. At least, I have to believe the photos because I was already riding that pink cloud, not able to concentrate on anything anymore. Sometimes it seems as if everything I try succeeds but believe me: Being an entrepreneur is to believe in yourself, your vision. Even if it is sometimes damn hard and everything seems to fall apart, keep making plans and keep working your tail off to reach your goal! If I can do it, you can do it too!